World Talk. True Real. Deconnexion. Day to Day. Among other strengths, Aurélien Arbet and Jérémie Egry have a talent for titles. In 2012, the two decided to merge their varied pursuits—a biannual clothing line (Hixsept), a publishing house (JSBJ), freelance art direction—into a single imprint. The name they chose for this new venture, Études, neatly encapsulated their vision for the label: translating to “exercises” or “studies,” it signaled a multivalent approach in which process and experimentation would be considered as valuable (and as viable) as any final product. Under this new heading, Arbet and Egry would serve as creative directors, their efforts bolstered by designer José Lamali and photo editor Nicolas Poillot. With each member bringing distinct skills and perspectives to the mix, the Études catalog would be exacting in finish but agile in focus, fluid between mediums and free to evolve as a reflection of their varying interests. The project’s underlying premise—that of corralling output as means of clarifying intent—is one that would inform the brand’s presentation moving forward. 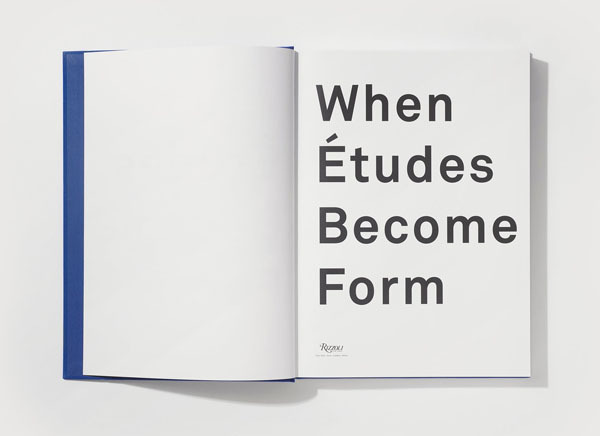 In 2015, when Études opened its flagship store in Le Marais after a series of international pop-ups, their strategy found its logical embodiment: by lending context to their assorted offerings, the group hoped to afford their audience a true sense of scope, a more legible narrative. These principles extend to the group’s latest venture: a printed retrospective called When Études Become Form: Paris, New York, and the Intersection of Fashion and Art. 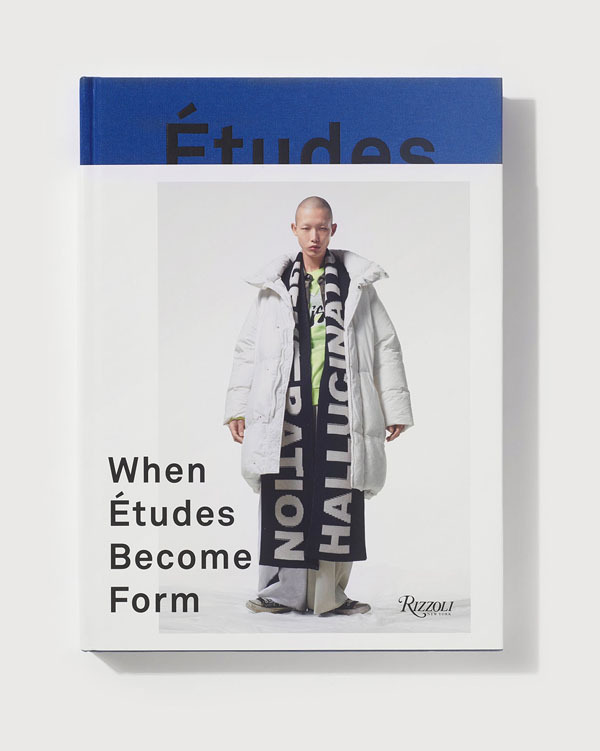 Published by Rizzoli International, the large-format tome gathers six years’ worth of work, documenting Études’ evolution from upstart studio to international lifestyle brand. Though hardly a comprehensive record of the group’s output, the book does serve as a kind of time capsule, with in-depth looks at their thirteen seasonal collections and nineteen photo publications to date, augmented by newly commissioned texts and photo stories alongside interviews with collaborators like artist Daniel Turner and director Gus Van Sant. At nearly 250 pages, there’s a lot to take in—but true to form, the book’s title provides readers some key points of entry. There’s the notion of translation, the process by which a single idea could conceivably be realized as a garment, an art installation, or set design. (Or, for that matter, all three.) In highlighting geography, the title speaks also to Arbet and Egry’s conception of Études as a “global experience of culture.” On levels both figurative and physical, their practice is transatlantic, expansive, unanchored; but more than just world-bridging, the group’s work is world-building. Each seasonal collection is a self-contained universe, centered on a distinct thesis and accompanied by a written manifesto, unique art direction, and imaginatively shot lookbook. Equally sweeping are the group’s photo books, featuring conceptual series by artists like Henry Roy and Ari Marcopoulos. Amid this constant stream of images and ideas, coherence lies in the group’s presentation: crisp, minimal design, with the Études name set in Akkurat font, precisely spaced and framed in the brand’s signature shade of cobalt blue. It’s a simple but integral touch, ensuring that even in far-reaching variance, there is a sense of cohesive vision, of collective voice. Through these pages, one comes to see Études as a kind of ecosystem, a sprawling network of collaborations and interconnections, a sphere at once hybrid and whole. Of course, in today’s economies (financial, attention, or otherwise), it pays to be more than one thing at once; that the brand glides between methods and modes so fluidly, so naturally, only confirms the creative potential for what has become a default mode for persons and companies alike: multiplicity as natural state. Originally published in the A/W 2018 issue of KALEIDOSCOPE.